Antibiotics are considered as “wonder drugs” as they kill microbes without affecting the host. They help to combat an array of diseases and are widely used in hospitals and clinics. This increased demand has caused the use of antibiotics without a doctor’s prescription. As most of the antibiotics are OTC medicines, misuse of antibiotics is not rare. Bacteria have benefited from this overuse of antibiotics. Antibiotics are been in use for many years. As new antibiotics are discovered, the number of antibiotic-resistant bacteria are also increasing. This has caused the treatment of various chronic disorders like tuberculosis difficult. Understanding how antibiotic resistance came into picture and measures to control them is the need of the hour. Antibiotic resistance is defined as a state where the bacteria continues to grow despite the presence of an antibiotic. 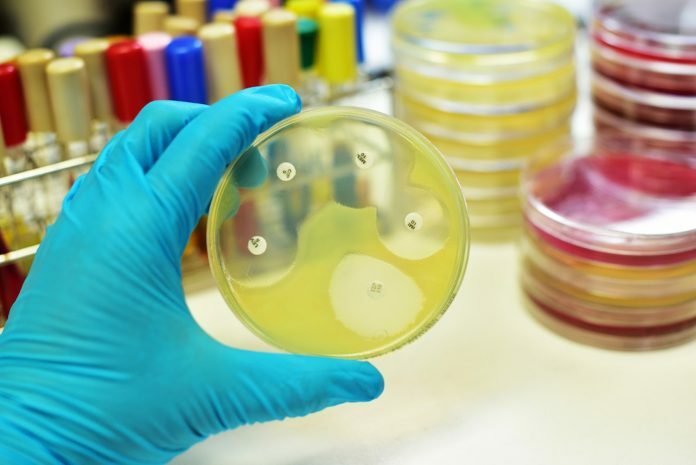 There are several mechanisms by which bacteria can develop antibiotic resistant. Some of them are gene mutation, transfer of resistant gene among a group of bacteria, and changing the site of antibiotic action. First antibiotic, namely the sulfonamides, was used in the year 1937. Various mechanisms of resistance have plagued its use. Sulfonamide resistance was found after a few decades of their use, and the same effects operate even after 70 years. Penicillin was discovered by Alexander Fleming in 1928. In 1940, even before it was used as an antibiotic, a bacterial penicillinase (an enzyme that can inhibit the functioning of penicillin) was identified. This surprising discovery suggests that many antibiotic resistant genes are components of natural microbes. Similar was the case for streptomycin that was used in the treatment of tuberculosis. Mutant strains of Mycobacterium tuberculosis were discovered while treating a patient. A similar course of event was seen in other antibiotics that were discovered and used in clinical practice. The twist in this story was seen in mid-1950 when genetically transferable antibiotic resistance was discovered in Japan. It is suggested that antibiotic-resistant genes could be spread by bacterial conjugation through an entire group of bacteria. Only recently is it accepted that gene exchange is a common bacterial property. Horizontal gene transfer (transfer of genes amongst organisms and through parents to offspring) is responsible for antibiotic resistance. A major role in antibiotic resistance is played by human activities in creating environmental reservoirs of antibiotic resistance. Since 1940, antibiotics have been manufactured, used for various conditions, and released into the environment. It is estimated that millions of metric tons of antibiotic compounds were released into the environment over the last half-century. Use of antibiotics in aquaculture, agriculture, and other non-human applications is responsible for major environmental reserves of resistant genes. With an increase in bacterial infections, the ubiquitous use of antibiotics is inevitable. Antibiotics are one of the greatest inventions of mankind, but its overuse has resulted in antibiotic resistance. A recent American Centers for Disease Control threat report states a warning: “simply using antibiotics creates resistance”. Precautions like consulting a doctor before taking any antibiotic, exactly following doctor’s instructions for consuming antibiotic, not sharing your antibiotic with anyone, and not using antibiotics for viral infection can reduce the formation of antibiotic-resistant bacteria.